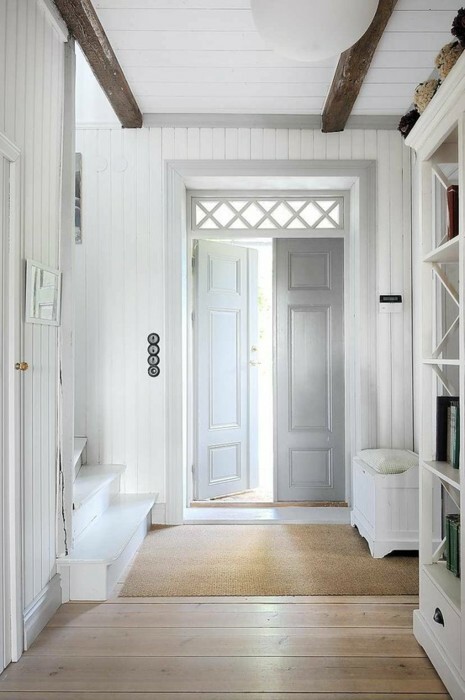 The foyer or entryway gives the first impression of your home so you want it to be fantastic! I had my entry redone two years ago and each time I come into the house I appreciate it so much. Adding a simple table, a painting or changing the tile can instantly make a difference. 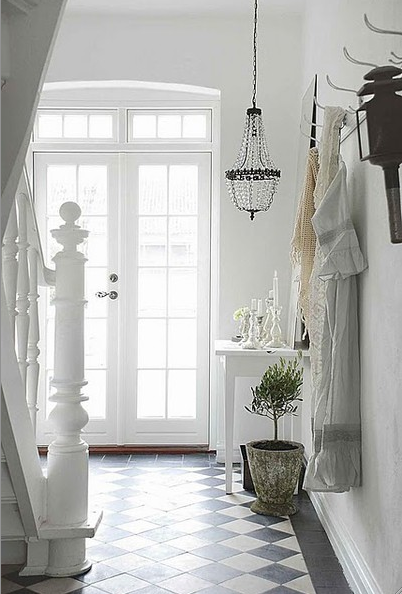 Add a beautiful chandelier or a lamp. I love this bench and the bookshelf. 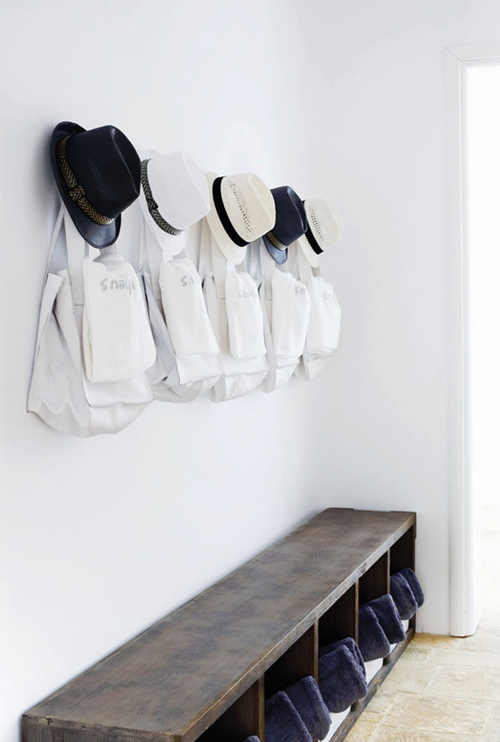 Adding hooks for coats makes it so easy when you have kids! This make a great statement! Nice round table if you have the space. Gorgeous with the painted frame. 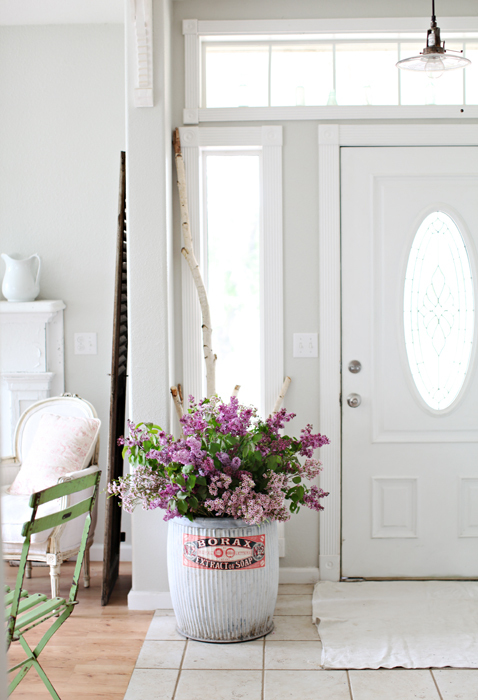 Adding flowers or a plant is a great idea.